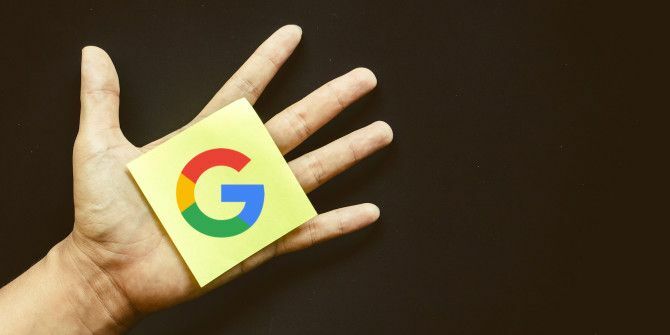 Being lax about the security of your Google account 5 Ways to Improve Your Gmail Security in Under 5 Minutes 5 Ways to Improve Your Gmail Security in Under 5 Minutes Email security is always important, but using Gmail can lead us into a false sense of security. If you use Gmail, these vital tips will save you from the inevitable headaches and grief later. Read More can prove costly. Keep regular tabs on your account activity via Google Dashboard. Here’s how you can set up a monthly reminder for that. Open your Gmail inbox, click on your profile picture at the top right, and then on the My Account button in the popup. You should now see your Google account page What Does Google Know About You? Find Out and Manage Your Privacy and Security What Does Google Know About You? Find Out and Manage Your Privacy and Security For the first time, search giant Google is offering a way for you to check the information it has about you, how it is gathering that data, and new tools to start reclaiming your privacy. Read More . Next, click on Account overview in the Personal info & privacy column. This loads a new page with the Account overview section highlighted. Click on the View Dashboard link there, and enter your Google password if prompted, to visit your Google Dashboard. The dashboard shows you at a glance your most recent account activity across all of Google’s products. This is the section that you need to monitor on a regular basis. Check the box next to Send me monthly reminders to check my account activity at top of the Dashboard page and you’re all set. Google will now remind you every month to visit the dashboard and check your account activity for anomalies. Of course, the dashboard might make you sit up and take notice of just how much Google knows about you. Rattled by that data? Maybe it’s time to reclaim some privacy How To Clear Your Data From Google & Attempt To Regain Some Of Your Privacy How To Clear Your Data From Google & Attempt To Regain Some Of Your Privacy Wiping all trace of you from the web is not easy, but after reading Dragnet Nation by Julia Angwin you might just want to try. It's time to stop willingly throwing away your privacy. Read More , if there’s such a thing left in the digital world. If you're an active user of Google products, Google dashboard is a reminder that Google is your "Personal IT Department". How often do you check your Google dashboard? Have you ever noticed any suspicious activity that forced you to take the security of your account more seriously? Explore more about: Google, Online Security. How Reliable Is That Information ? Not Recently, But Some Months Ago, I Checked And The List Showed My Account Was Being Used In Lots Of Countries All Over The World.